what is my rabbit's breed? This is Tilly, she's about 8 months. We re-homed her after another couple couldn't find time to look after her. We were told she is a false netherland dwarf rabbit but I really just wanted to find out for definite! Also she's always been on her own so I also wanted to know the breed to then decide if she would accept another rabbit or if she's happy on her own. 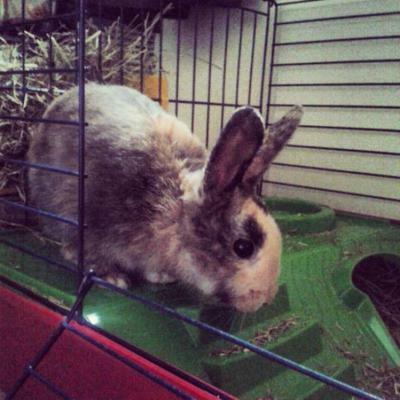 Comments for what is my rabbit's breed? Looks like a Harley Quinn rabbit to me! Great rabbit breed,please tell us where this breed belongs to. 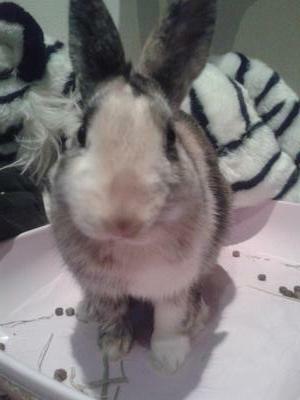 Tilly is very cute,these breed of rabbits are very beautiful.I am planing to keep rabbits. what a wonderful post shared. I really like this post. It is a very helpful for me and everyone. Tilly is really very cute, I like it a lot. You want to know about its breed, well, I have not much knowledge about rabbit breeds, but one thing is for sure it's not a wild rabbit, I have seen them, they are in brown color. Any how I will search about them or ask some expert and will come back to you soon. 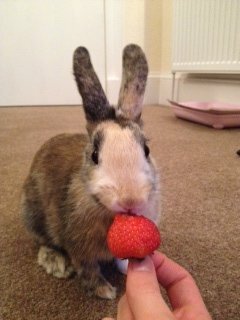 Definetly not a netherand dwarf! To me she's a cross.